Humpty Dumpty...Before & After creates useful, wearable, or just enjoyable art! 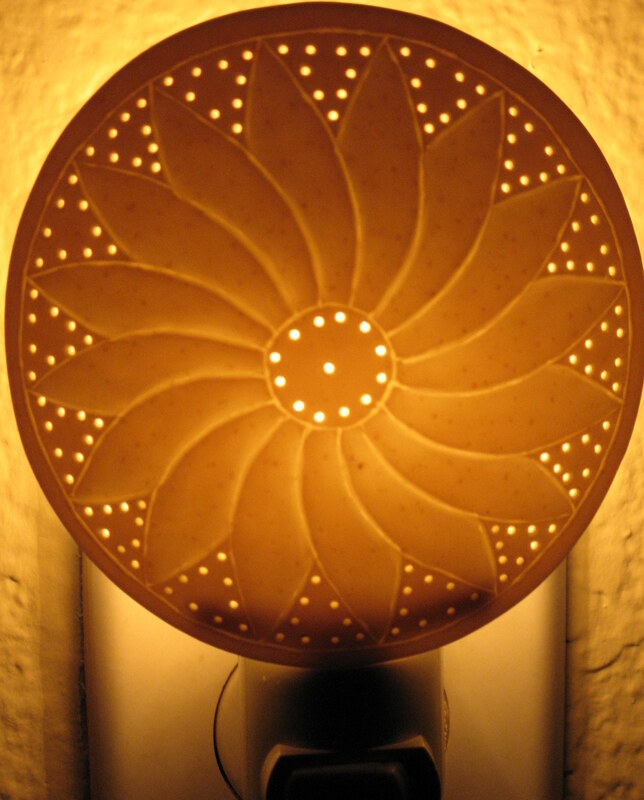 We are reliable artisans with over 20 years of experience. We listen to our customers and often work with them to address their needs with creative solutions. 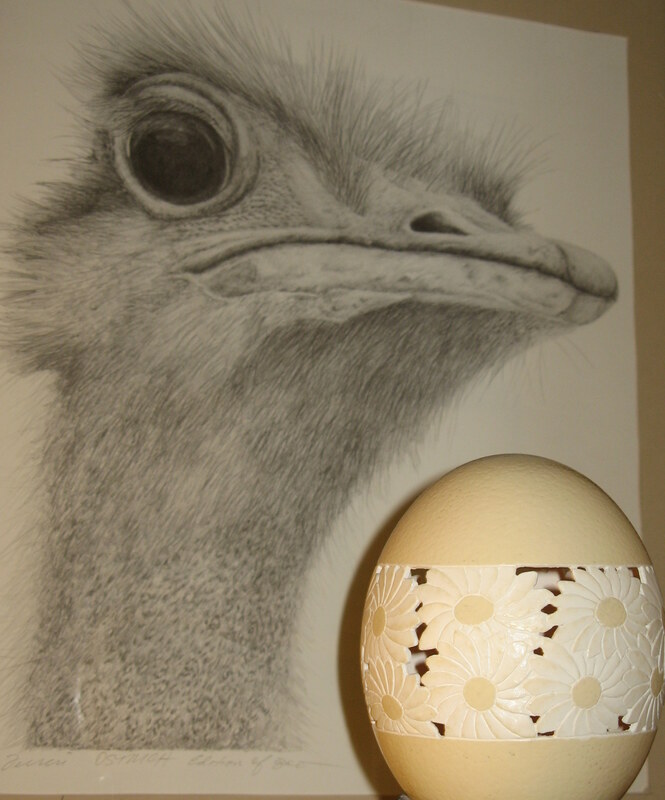 Or you name it and we can create it on ostrich and/or emu eggshell as whole carved egg, lampshade, nightlight,etc..
Ostrich: The largest single cells currently on earth. Each egg holds the equivalent of 20-24 chicken eggs. The chick that hatches from this egg is the size of some full grown chickens. It takes a chick approximately three days to break out of the egg. Mom and Dad ostrich can weigh 300-350 pounds, have brains smaller than their eyeballs and reproduce during summer months. 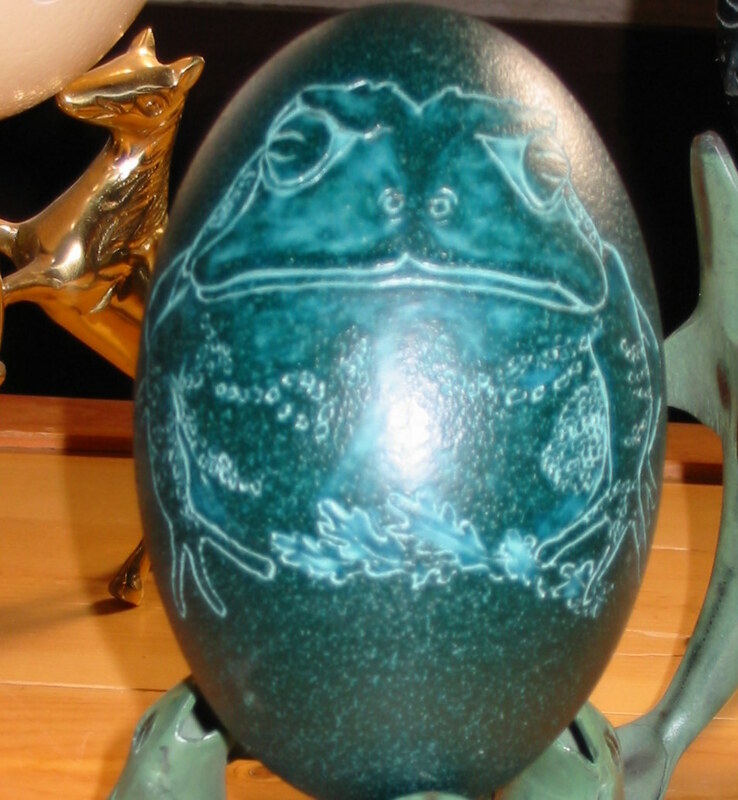 Therefore, their eggs are white to dark ivory and thick enough for a 250 pound man to stand on without breaking one. When they are carved the underlayer is a pure white. I often compare the ostrich egg to bone china. It's strong enough to hold your coffee, but don't drop it on your Saltillo tiles. 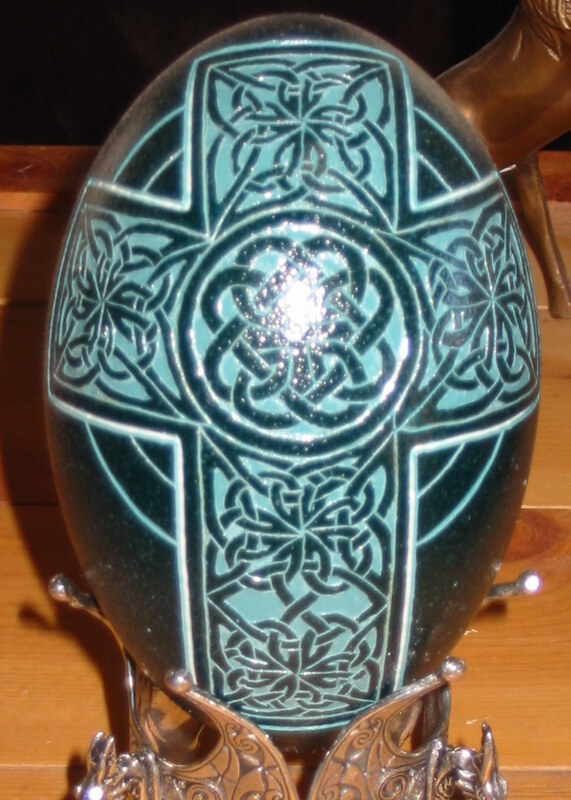 When emu eggs are carved, the dark outer layer gives way to a lighter layer that varies from blue-grey to turquoise and that layer in turn is followed by a deeper layer of pure white. The dark outer layer and the pure white layers are the thinnest. We started with just two "employees", working out of our home. Originally we had a different name, Aborigine Originals, and a presence at one small gift shop in Scottsdale and at the Chandler Ostrich Festival. Our name changed in 2000 when we became accepted as vendors at the Arizona and Sterling (NY) Renaissance Festivals. All these years later, we are still two, Claire, the artist,and TJ, husband and helper, and we are still to be found at the Renaissance Festivals although we have increased our scope in recent years. Everything is made in the USA by Claire.